With the 2016 Christmas season quickly approaching there’s little time left for shopping ideas for you, your family members or significant others. I’ll be honest, Christmas time is a lot of fun but it can also be incredibly stressful and hard on the wallet. If you’re already an avid Kodi user one of the best gift ideas out there today is to share your love of Kodi with others. One of the best things about Kodi, first and foremost is it’s free, secondly you can find hardware to run it in any price bracket. Listed below we’re going to show you some of your best options out there to find a reliable Kodi box but also ideas that can help enhance the Kodi experience without breaking the bank. There’s literally hundreds of options on the market today to run Kodi. 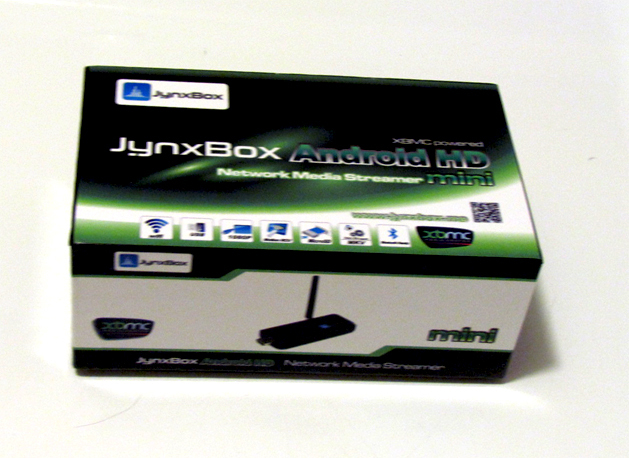 With more and more Android boxes flooding the market it’s becoming painstakingly simple to purchase something and be up and running within minutes. Still, there’s something to be said for good hardware but more importantly solid support. Here’s our top five Kodi boxes for Christmas 2016 that come equipped with reliable hardware but also proper sales and manufacturer support. 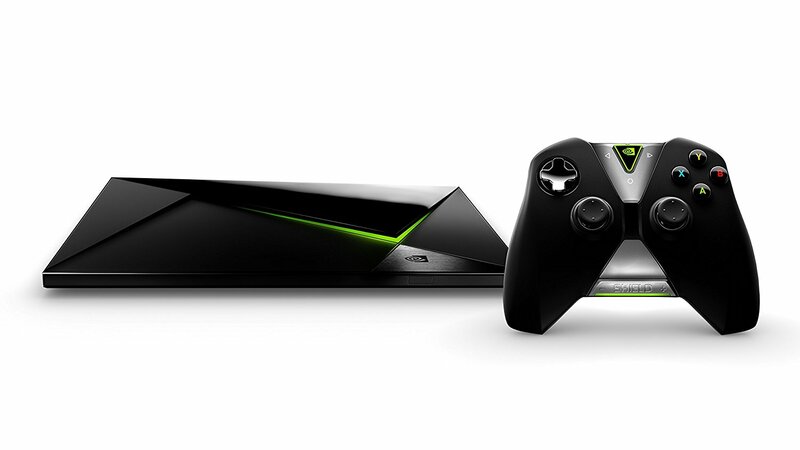 There is little doubt that the most recommended set top box for Kodi today is the Nvidia Shield(on sale). The Shield comes equipped with powerful hardware capable of playing anything you throw at it in Kodi, including 4K content. The best part about it though is it’s ability to be more then just a streaming media player. If you’re looking for a gift idea for an avid gamer you’ll want to take along hard look at the Shield. With the ability to play PC games on your Shield (with a few extra hardware options), Emulators and games from places such as the Google Play Store not only will you be able to stream your favorite movies but you’ll also be able to have a fully functioning gaming system as well. It won’t compare to your Playstation or Xbox One but still packs a bunch and is one of the more future proof boxes on the market in regards to hardware and features. This post is about not breaking the bank but if you have the extra cash to spend this holiday season we recommend the Nvidia Shield Pro. If you plan to use it for more then just streaming movies and TV shows the 500GB additional storage will provide more then enough space but at a price point of almost $500 dollars it’s a pretty significant investment for gift giving. If you’re looking to avoid the high costs, look into the entry level model which comes in at under $200. Under $100 for both the box (more powerful) and the Fire TV stick the Amazon Fire TV continues to be a very viable option for anyone looking to get started with Kodi. The only real drawback to this option is similar to what you’ll find with the Shield, you’ll need to manually sideload Kodi onto the Fire TV to get up and running. If you’re purchasing this for someone and have a savvy Kodi background this shouldn’t really be an issue but if you’re a little less tech savvy then investing in one of the boxes below might be a better alternative as Kodi comes pre-installed on some of them. That being said there’s little surprise that the support and trust of the Fire TV is top notch given it’s built and sold by Amazon. Like the Shield you’ve the ability to do more then just stream content on it but primarily that’s what most use it for thanks to it’s ease of use and ability to integrate 3rd party apps and software like Kodi. If you’re an Amazon Prime subscriber you’ll also be able to unlock a plethora of other viewing options through Amazon but let’s face it…almost everything you’ll want to watch will be found with the proper Kodi setup. 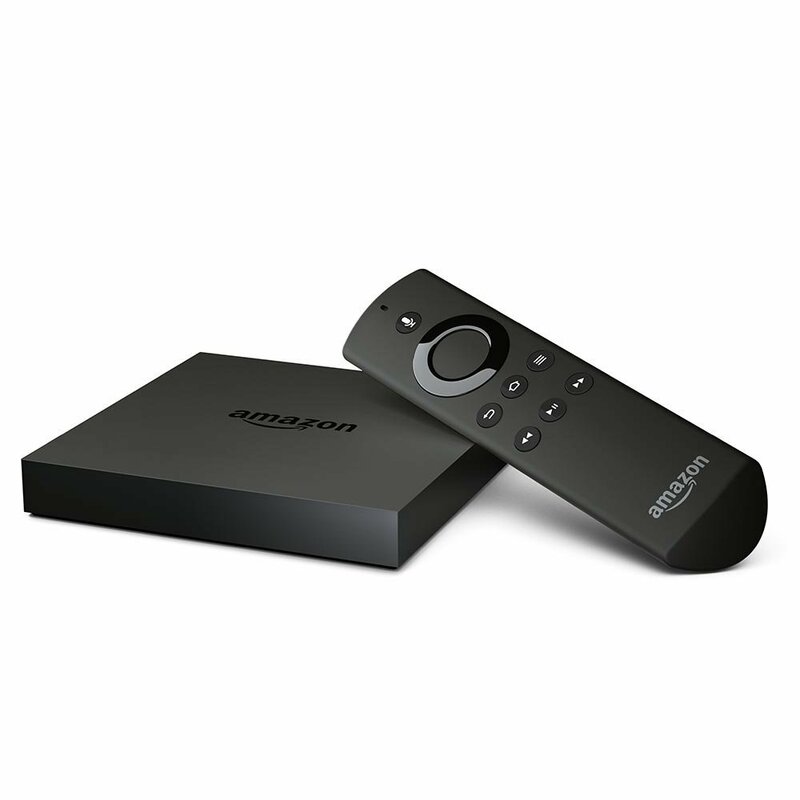 The second generation of the Fire TV’s has provided more pop to the device but also integrated the ability for 4K playback. With Kodi addons, 4K content is out there but not as plentiful as you may find browsing paid services like Netflix and Prime. Still over the course of multiple tests and numerous other boxes the Fire TV remains and a favorite and one of the most reliable on the market. With a price tag of $89.99 for the Fire TV box and $39.99 for the Fire TV stick (we recommend the Fire TV box as it provides more power, integrated Ethernet and the ability to properly run our favorite VPN’s) it’s a can’t miss option. 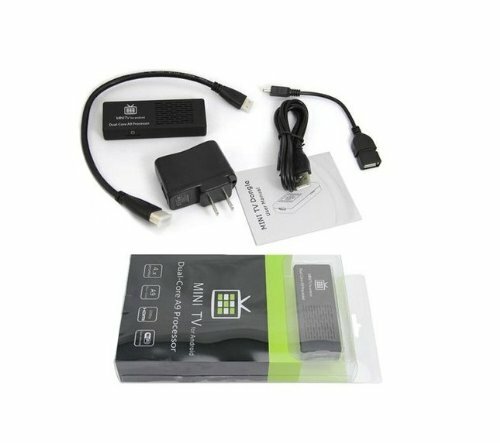 It’s been a staple in the industry for Android TV boxes, the Matricom G-Box Q2 is a widely popular option for those that want something under $100 that works. Packed with the powerful Mali-450 Octo Core 3D GPU Graphics Processor it provides reliable and smooth playback on everything you throw at it (yes tests will vary from user to user but it does work if properly configured). With more and more Chinese boxes flooding the market the Q2 continues to have a step above them thanks to the continued development but also the exceptional service provided from Matricom. As a streaming set top box it may not seem terribly important but the extra 2GB ram provided from the G-Box is a bonus and helps provide reliable playback. Any hardware solution can come with problems, thankfully the one issue we had with the G-Box Q2 was resolved quickly by the reliable support from Matricom. 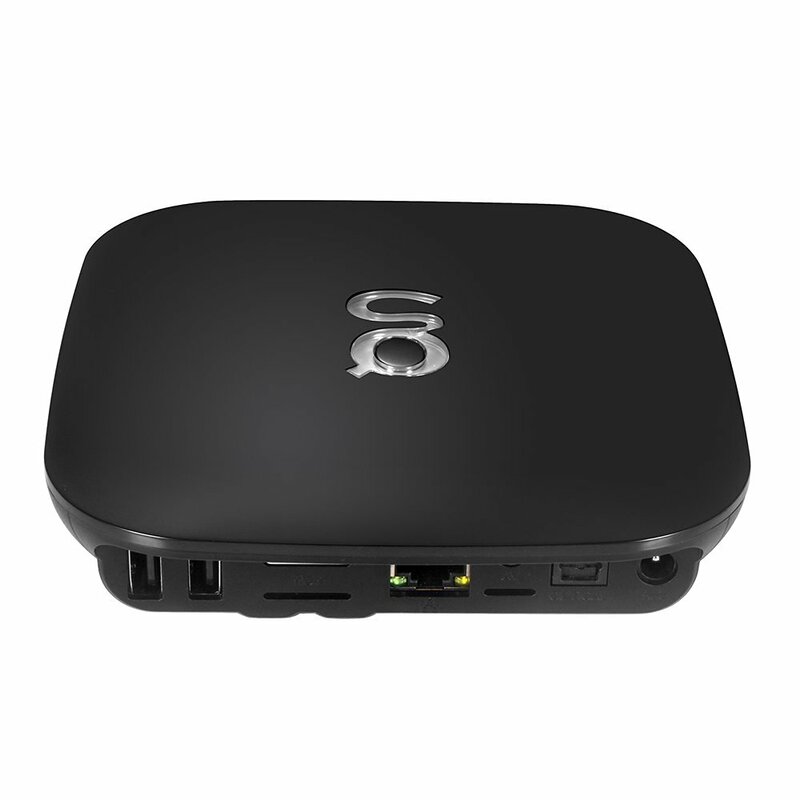 With prices as low as $80.00 the G-Box Q2 is another viable option for any Kodi enthusiast. Large friendly debate occurred with the the Minix NEO U1 and the Matricom G-Box Q2 abotu which box was better but in all honesty you could’t go wrong with either selection. The only real difference would be the price point between the two. 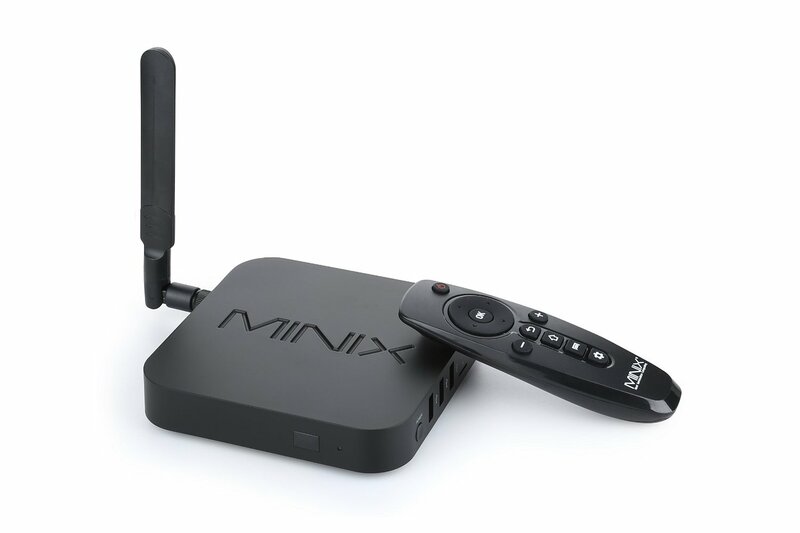 The Minix NEO is a little more expensive but comes packed with a feature set you can be completely happy. More importantly if you’re looking at buying this as a gift for someone who’s a little less tech savvy you’ll be able to know it comes installed with Minix’s own version of Kodi on it for easy setup and use. If you really want to go that extra mile, uninstall and update Kodi to the latest version for improved performance. A serious contender for gift of the year, the M8S is a powerful box packed at an incredibly friendly price ($51.99. The only concern with any pre-built Kodi box is the availability and complexity of updating the system. Both the Minix and Matricom have done a good job of auto-updating certain apps and the M8s certainly is no different but as an option for Kodi playback you’ll want to eventually (or you’ll be required to) update Kodi to the latest version in order to flawless playback on 4K, HD1080, and more. You’ll likely want to look at improving the remote control (see below) to provide a better experience. 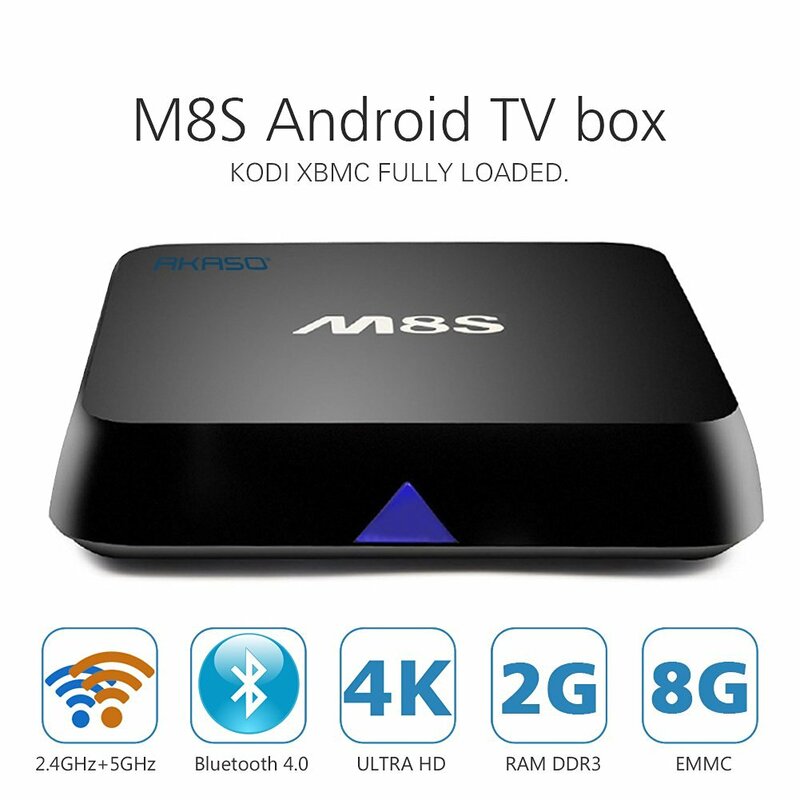 If you’re looking for options for more then a streaming Android TV box with Kodi you’ll likely want to look elsewhere but if you’re looking at enabling on demand content with all the latest apps whether it’s Kodi, Netflix, Hulu or more the M8S is as capable as any other in this list. The M8S is no slouch and at a price point of approximately $50 it opens the door to save some money or purchase multiple units for more gifts. Up next some of our favorite options for some ideas to spruce up and make using Kodi even easier. Out of the box running Kodi is simplistic in nature but the more you use it the more you may fall in love with it. Since using Kodi as a media player I’ve gotten a lot more creative trying to wow my movie watchers, listed below are some of the options that will enhance the experience but also help safeguard you for future use. There’s nothing illegal about Kodi. The problem arises when users and box sellers install and use third party addons to stream content from illegal sources. The developers at the Kodi team don’t condone using them but these third party addons are perhaps the biggest reason for Kodi’s soaring popularity lately. Similarly to the crackdown on torrents and other forms of sharing media it seems only a matter of time before the popular Android boxes and streaming services become the full blunt of take-downs. While no cases have yet to come to light (that we’ve seen) cracking down on single Kodi users the same can’t be said for box sellers. It’s important to enjoy your Kodi experience but if you’re one of the thousands using it to stream third party content it’s important to take the time and learn about protecting yourself with things like a VPN. While most people typically associate a VPN with anonymity online it can also help provide a possible workaround for geo blocking content from places like Netflix and sports packages like NHL.TV, MLB.TV and more. 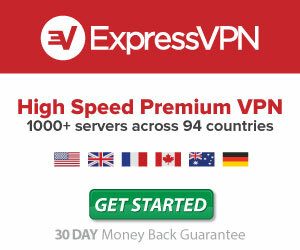 A VPN stands for Virtual Private Network and it’s extremely easy to setup and install one. You’ll have to do a little bit of research but we’ve narrowed down our top 5 VPN’s to use with Kodi through some testing ourselves but also feedback from communities like Reddit, TV Addons and the Kodi forums. Take some time or feel free to leave a comment below for recommendations on what to use with your device. We’ve been using Private Internet Access with our Kodi setup for sometime and it has worked flawlessly since we started. PIA will install on almost every device we’ve had our hands on, the only issue we’ve seen is with the Amazon Fire TV Stick where a lot of VPN’s aren’t working due to it’s hardware. One of the first (and funnest) addons we played with was integrating the Phillips Hue bulbs with our home theater setup. If you’re unfamiliar with Hue it’s essentially smart lights that can turn on/off and change colors with the simple use of an app or integration with something like the Amazon Echo. Plugin development has been slow but you can incorporate ambilight or theater lighting after some simple setup in Kodi and your home network. If you’re familiar with Phillips Hue and Kodi this should be the next thing you do to add to your experience. The only thing you’ll need is a Kodi set top box, a Phillips Hue Hub and some Lights or LED Strips. The LED strips will provide a better option if you’re planning on mounting it to the back of your TV like in the video above. Chances are you’ve had a Kodi box similar to the Fire TV, M8S or any Android box and suffered through the frustration of having to manually type in your search term by moving your remote one click at a time to each letter. It’s not the end of the world but when you search something and quickly realize you made a spelling error or missed a key you have to go back and do it all over again. 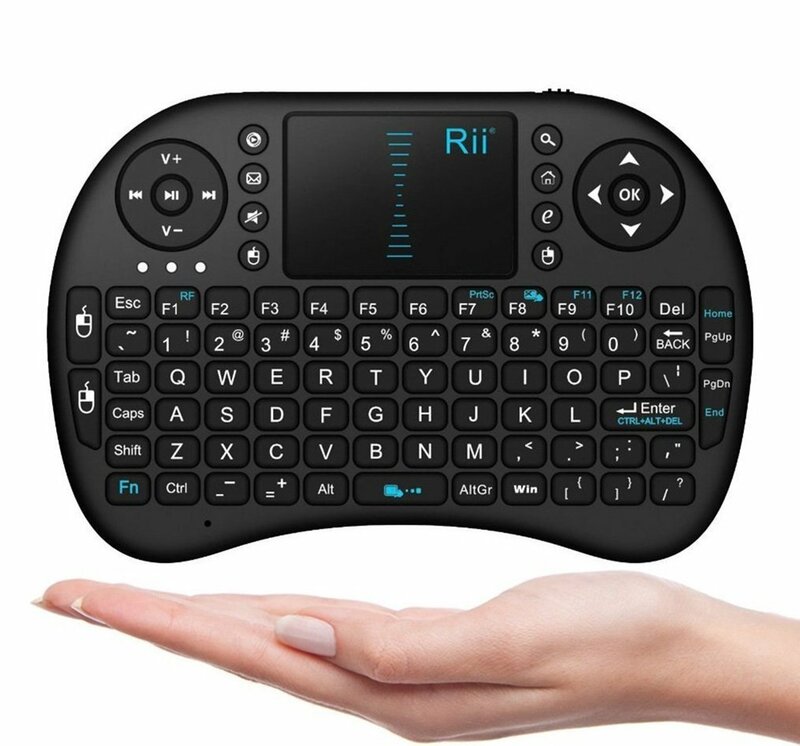 The Rii Mini Remote is a low cost option for those who are looking for a mouse and keypad option to help speed up the transition of adding sources or searching for content within Kodi. At $17.99 it might end up being the best investment you make for your Kodi setup. If you don’t want to spend the dough you can look towards installing apps onto your smart phone or tablet. If you’re really looking to take your Kodi Theater setup to the next level and shock and awe your friends then integrating it with voice playback through the Amazon Echo may be just what the doctor ordered. 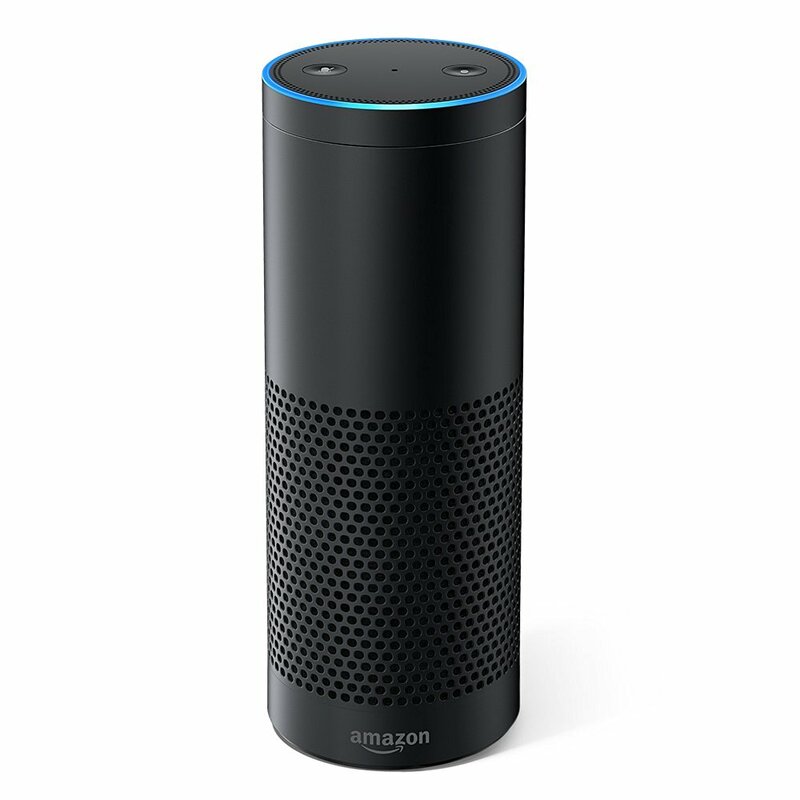 With the launch of the Echo it was only a matter of time before developers started working with the Amazon Echo to voice integrate into their smart homes. It already comes pretty well equipped to handle a lot of smart home tasks but it still hadn’t had a lot of support to control playback (without extra peripherals). Thankfully numerous developers have a couple different guides to help you get up and running. The one we’ve worked with required less setup but appears to no longer be developed. The reason we preferred the second skill was with the fallback options it came equipped with. If you’ve been using Kodi for any extended period of time you’ve probably come across playback issues if you’re using third party addons. On the other hand if you rip and serve your own movies and TV shows locally you’ll most likely always enjoy flawless playback, no stuttering and essentially no problems. The problem arises though when you convert everything you own into playable format. You’ll eventually need some sort of NAS (or Networked Attached Storage) to save all your content. There’s hundreds of options and builds you can use but for the beginner at heart you may want to look into something like a Synology NAS. The NAS helps save and serve your content to all your Kodi devices scattered throughout your local network. If you want to have the capability to stream it on the go you can do that as well (with the help of something like the Plex addon for Kodi). 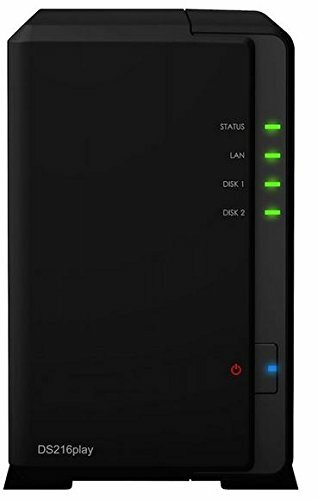 Your NAS can be as big or as small as you like but the general idea is to pick something that isn’t necessarily future proof. One thing to also keep in mind, with the increasing popularity of 4K TV’s and content file size will continue to get bigger. If you’re scrambling to come up with last minute gift ideas look no further then above. Whether they’re a tech nerd or someone who just likes movies Kodi can help find something for just about everyone. Share your gift ideas with us below!